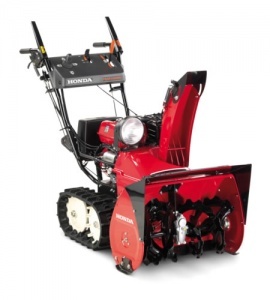 A professional specification snow thrower from Honda. Honda's top-of-the-range snow thrower can cope with the toughest conditions, able to shift up to 50 tonnes of snow in an hour. With an exceptionally large clearing width of 71 cm, combined with a clearing height of 51 cm and a capacity of 50 tonnes per hour, the HSS 970 ETS can quickly and efficiently move huge quantities of snow. As a 2-stage thrower, the auger first breaks down the snow and ice, before the thrower disperses it through the chute, able to reach a distance up to 16 metres away. Because the chute is adjustable electronically, using a handy joystick, you can precisely control where the snow goes as you move along. 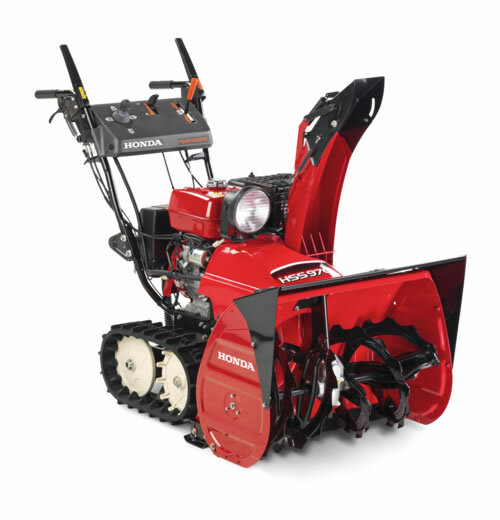 The Honda GX270 Pro-Spec commercial-grade engine gives 6.3 kW of power while being specifically designed to start in sub-zero temperatures down to minus 25ºC. It delivers outstanding power and torque, while enjoying low vibrations, low noise, low emissions and low fuel consumption. If the machine comes up against a particularly difficult challenge, such as deep snow or a steep bank, you can simply raise the height of the auger using the adjustment lever and it will power through. You can easily lower it again once you are past the obstacle. Hydrostatic drive means all you have to do is push the lever forward to move ahead, and pull it back to reverse, allowing for adjustments to speed to be made with one hand, even with gloves on. No gears means no shifting, making the HSS 970 ETS a superbly easy machine to operate. The high-grip tracks allow you to work without slipping or sliding, affording great control even on steep driveways and steps. The electric start ignition makes getting up and running simple, a powerful, adjustable operating light means you can work at all times of day, and a clever auto-stop feature detects if an object buried beneath the snow is struck, stopping the engine to prevent damage. Comes with a 2 year conditional domestic warranty, and a 1 year professional warranty. 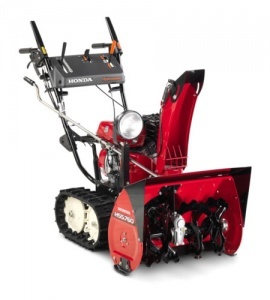 A 60.5 cm clearing width snow thrower, with high-grip tracks, electric start and remote chute control. This 2-stage snow thrower is powerful enough to move up to 42 tonnes of snow per hour, with a clearing width of 60.5 cm. 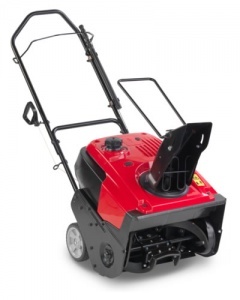 An efficient yet powerful single stage snow thrower, this is a great choice for domestic paths and driveways.